Entrepreneurs in their 50s, 60s and 70s start 25 percent of all new businesses each year, according to Bruce Markewicz, founder of Maturepreneur Today, a new information and resource website for second-act business owners. —They have to compete in a marketplace that worships millennials. —They have to protect their financial investments and have less time to recoup any losses from a failed venture. —Many want to have more work/life balance time for their family, hobbies and other pursuits, which any entrepreneur will tell you is next to impossible. "Older entrepreneurs have a lot of financial obligations — home mortgages, aging parents, children in college — and they can't just afford to take a year off and live in the basement on RedBull and Ramen noodles," says Fran Trelease, founder of BoomerDen LLC, an online consulting firm specializing in cubicle-to-self-employment career transitions. "But often at this stage their ideas are brilliant: they've been stewing on a back burner in the individual's mind for decades, and as a result their ideas and business plans are often much more clearly thought through than the stuff Millennials dream up." When you hear in the media about America's aging population, it's often presented as a doom-and-gloom scenario: too few young people supporting too many dependent elderly, the national energy level going down and less risk-taking. Someone who thinks this is baloney is Chris Farrell, a Minnesota Public Radio personality and author of "Purpose and a Paycheck: Finding Meaning, Money and Happiness in the Second Half of Life." "This is a wonderful thing for the economy," says Farrell. "People are working longer, they're healthier and better educated, and hey, age discrimination in corporate America is very real so traditional management jobs aren't an option. By starting something of their own, older entrepreneurs are actually less of a burden on the social safety-net." Many maturepreneurs defy the image we have of entrepreneurs as people who move fast, break fast, grow big and work 90-plus-hour weeks. Many of them are solopreneurs, says Farrell: "They are self-employed, maybe with one or two independent contractors or a couple of friends or family members in an informal partnership, with little outside money except for maybe a bank loan and a rolled-over 401k plan." Which is OK for consulting or online retail businesses, but what if you're on in years and you have come up with a truly wonderful idea for a tech product or service? Farrell says that while there isn't hard data, a lot of the baby-boom entrepreneurs he meets are going into business with their adult children. "The Baby Boom and Millennial generations actually are much closer to each other than I was with my parents — these kids don't want to leave home, but the parents are just as happy to have them stick around," observes Farrell, adding that 20 percent of American homes are multigenerational. "A home-based business is a wonderful way to keep the generations together under one roof — the kids bring the hustle, energy, technological skills and 24/7 work ethic, while the parents bring the insight, business sense and wisdom that appeals to investors." —Why do I want and have to do this? —Should I tap into my 401(k) to fund this business? —Could I become so successful that I won't be able to enjoy my grandchildren? —Am I healthy enough to do this? —How fast can I reach the point where someone can manage the business for me? That's where Maturepreneur Today comes in. It will be hosting an online Virtual Summit on Tuesday, June 11, 2019, from 9:30 a.m. to 5 p.m. Speakers include former U.S. Army Gen. Stanley McChrystal, former Small Business Administration Office of Entrepreneurial Development administrator Allen Gutierrez and (full disclosure) a certain nationally syndicated small-business columnist named Cliff Ennico. To check out the full roster of speakers and register online, go to https://www.maturepreneurtoday.com/registration-now2. 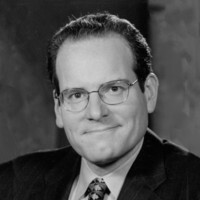 As for the perception that baby boomers can't adapt easily or quickly to new technologies and business models, Farrell says that's bunk: "Hey, just look at all the technological change we've lived through, from manual typewriters to IBM Selectrics to Wang dedicated word-processors to desktop computers to smartphones. Don't tell us we can't adapt." As someone with a basement full of vinyl long-playing records, cassettes and compact disks, most of which contain the exact same music, I can agree with that. Just don't ask me to subscribe to Spotify or buy an iPod. I'm tapped out.